Our Elder Law Attorneys are often confronted with questions regarding risks to family retirement plans. There is usually great concern over market corrections to a family’s investments and tax increases. In both scenarios, the risk involves a portion of the estate that may be affected but there is still a large majority of their estate left in tact. Even though market corrections and taxes are serious concerns, those risks do not even begin to compare to the greatest risk facing our retirees today: the risk of long-term care. Our firm — The Elder Law Firm PC — conducts seminars all over the greater Grand Rapids area and one constant theme to our presentation is that the expense of long-term care is one risk that can devastate an entire estate. The average cost of skilled nursing care in the state of Michigan is $7,032 per month; which is nearly $85,000 per year. The typical stay in a nursing home is three years or more. Based on the law of averages, the cost of long-term care can easily exceed $250,000 in three years. For most of the families I assist, this is greater than their income and most likely more than their estate could support. Please note that some nursing homes in Grand Rapids cost far more that the state average and those costs are actually closer to $9,000 per month or $108,000 per year. Long-Term Care expenses have inflated nearly 8-11% annually, while retirement income barely increases 1% per year. To prove this point, think of the most recent increase to your Social Security and ask yourself: if the cost of care is inflating at a rate that is 7%-10% more than the adjustment to my retirement income, how large will the gap between my income and long-term care expenses be by 2017. Unfortunately, our elder law attorneys do not foresee a decrease in the cost of care nor adjustments to retirement income coming anytime soon. The estate planning attorneys at The Elder Law Firm PC urge you to take precaution and plan to meet this risk head on. Our firm has assisted thousands of families with protecting their estates, accessing benefits and receiving long-term care without the burden of losing in months what took a lifetime to accumulate. 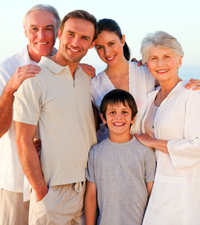 Long Term Care Planning is essential for every estate plan. 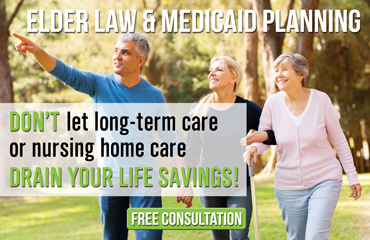 If you do not have an estate plan or if you have had an estate plan done but are interested in knowing more about long-term care planning, please contact our office for a FREE No-Obligation Consultation. We will commit an hour of our time to you to show you how long-term care planning works and then the next step will be up to you.